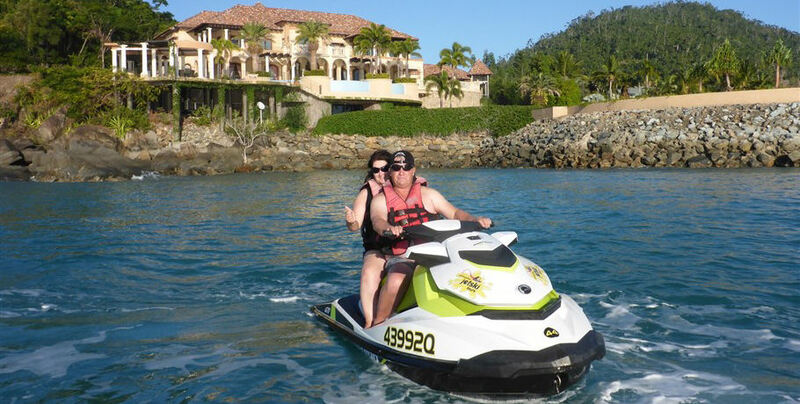 Minimum Jetski passenger age, 8 years. 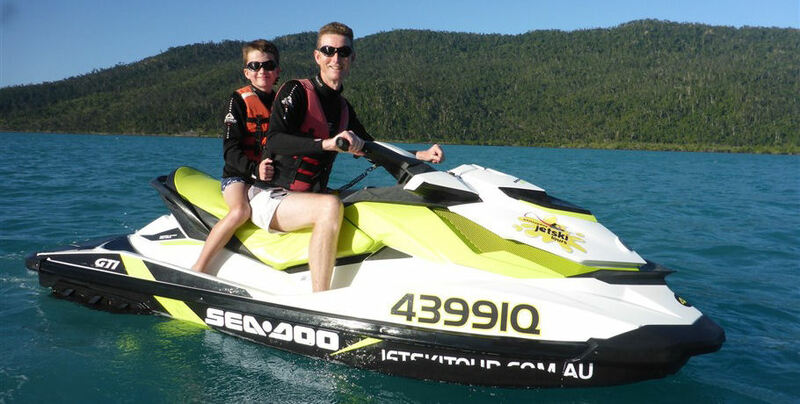 Minimum Jetski driver age, 16 years. 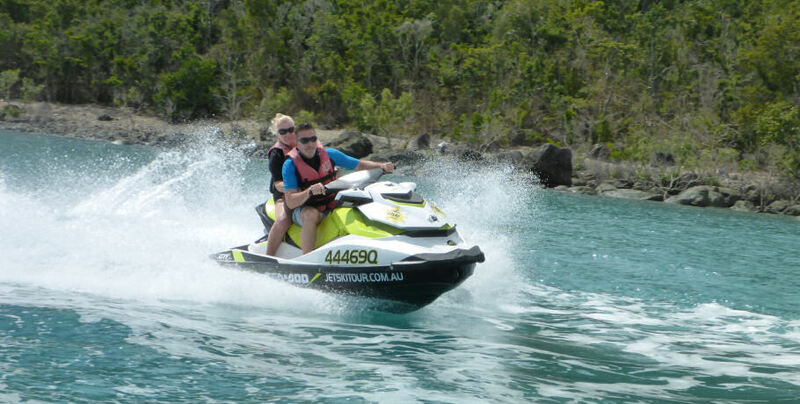 Whitsunday Jet Ski Tours offers an exciting adventure on the incredibly smooth Sea-Doo GTI 1500 cc. 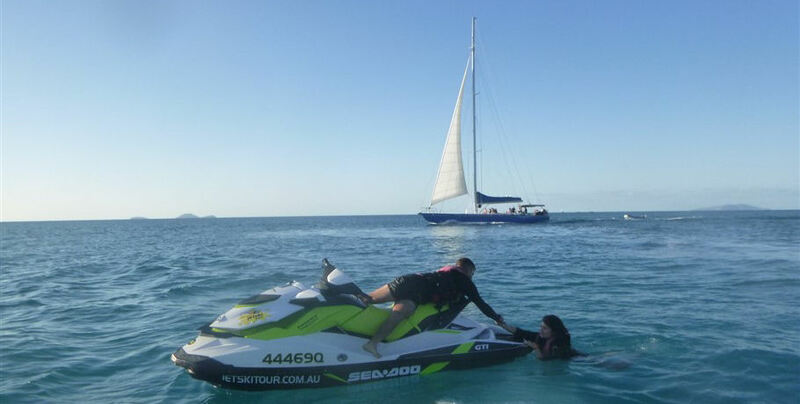 You will drive through the beautiful world heritage Whitsunday Island Marine Park as you gain confidence in handling these easy vehicles. 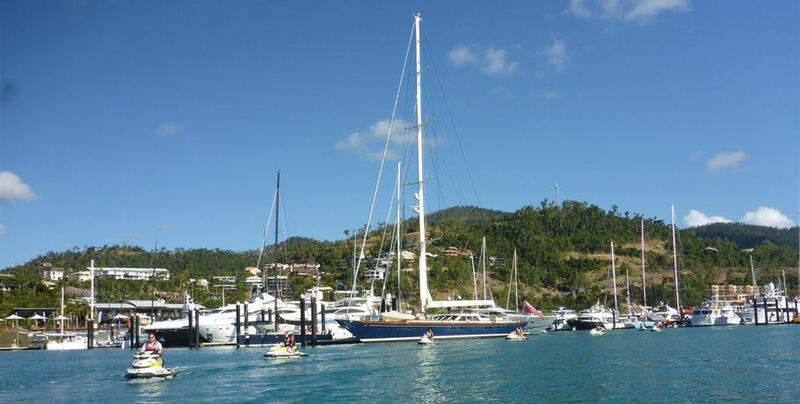 The guided tour will take you through Pioneer Bay, around to Port of Airlie and along the Airlie Beach coastline. See the beautiful natural wonders and manmade spectaculars that make up this incredible region! 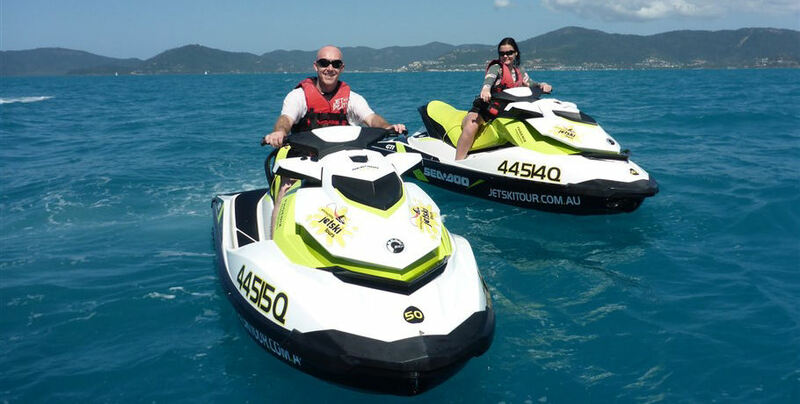 Whitsunday Jet Ski Tours offers a courtesy bus to collect you from your Airlie Beach accommodation and take you to their check-in office at Abell Point Marina. 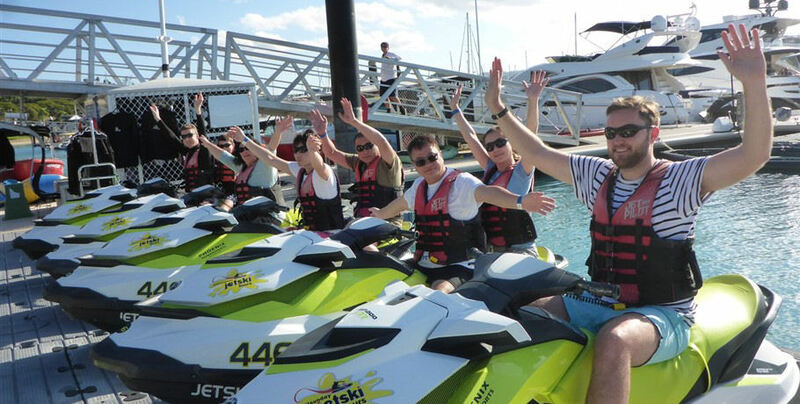 You will be greeted by the friendly crew and provided with a safety briefing as well as a comprehensive introduction to the jet ski. Time to get familiar with your vehicle and take a slow drive past the berths in the marina. Follow the guide at your own pace as you make your way to open water. Pull up to the Mandalay Mansion for some incredible photo opportunities and zig-zag your way past Mandalay Bay down to Boathaven Beach. You will see stunning marine life with some commentary from your knowledgeable guide as you make your way to the iconic Pioneer Rock. 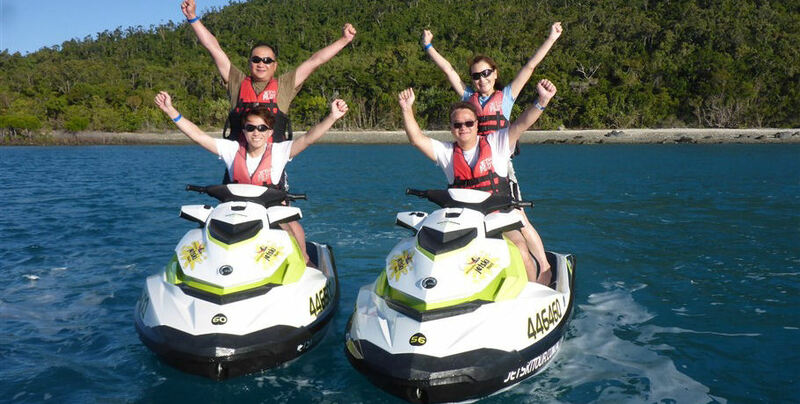 Keep your eyes peeled for turtles, dugongs, and vibrant fish and corals. 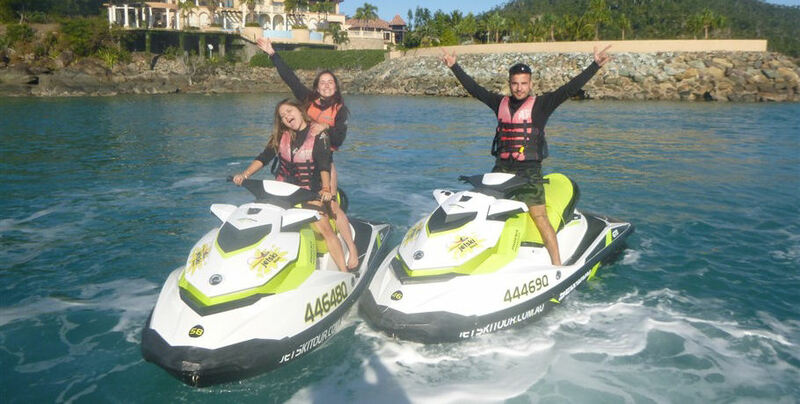 Return to Abell Point Marina with some heart-racing freestyle as you should now be comfortable with the jet ski. 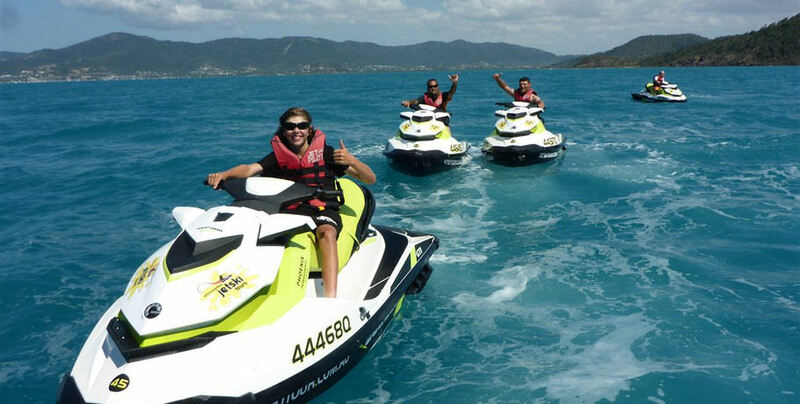 Finish up your tour back at the Whitsunday Jet Ski Tours office where you may catch the courtesy bus back to your accommodation or enjoy the walk along the board walk back to the main strip of Airlie Beach.